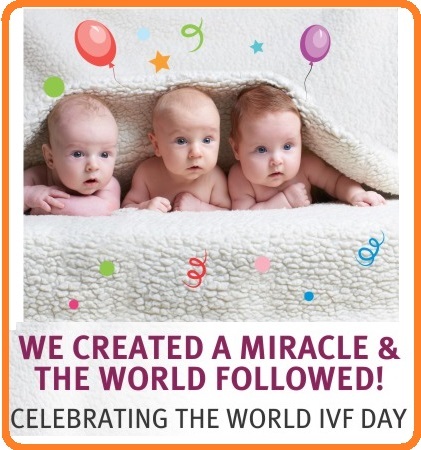 Today is World IVF Day. 35 years back in the city of Manchester the first baby Louise Brown was born through this technique. Since then the IVF technique has come of age and there are many IVF centres of excellence in the world. India has made rapid strides in the field of Invitro-fertilization and has given hopes to many childless couples. One such centre of Excellence is We Care India ably led by renowned many infertility specialist . On this day We Care India would like to give their best wishes to all our IVF specialists who are doing a great service to the mankind and giving smiles to millions of expectant parents.